This is a tale of two countries - USA and Cuba - old enemies that might now become friends. Cuba is an island in the Caribbean. It's less than 100 miles away from the United States. But the two countries have argued for more than 50 years. 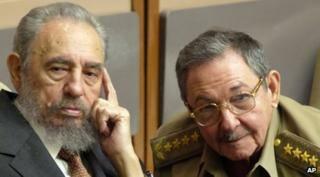 Cuba and America were friends until 1959, when two brothers - Fidel and Raul Castro - grabbed power. There have been 11 US Presidents since then, and they've all said the Castro brothers are dangerous and treat their own people badly. In 1961, the US helped invade Cuba and tried to kick the Castros out of power, but the Americans were beaten. The Cubans then made friends with a country called the Soviet Union, who were enemies of America. The Soviets then put missiles on Cuba. It made the Americans nervous and the whole world came very close to war. Ever since then the United States and Cuba haven't spoken. USA doesn't allow Cuba to trade in certain things, which the Castros say is unfair on people living there. It's even difficult for people from each country to visit the other. 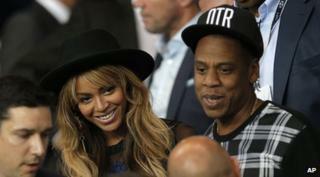 When Beyonce and Jay Z went on holiday to Cuba, some people in America said it was the wrong thing to do. For the past year, secret talks have been taking place in Canada. Now the US president, Barack Obama, says it's time the two government's spoke to each other, co-operated and do much more to help the Cuban people. 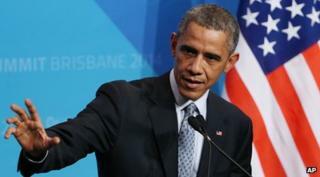 US President, Barack Obama and Raúl Castro, have now spoken on the phone for nearly an hour, on Tuesday. They are the first presidential-level talks between the two countries since a revolution in Cuba five decades ago. Countries all around the world are really pleased that an agreement has been reached. They say it's a historic deal and hope their new relationship will benefit both countries.